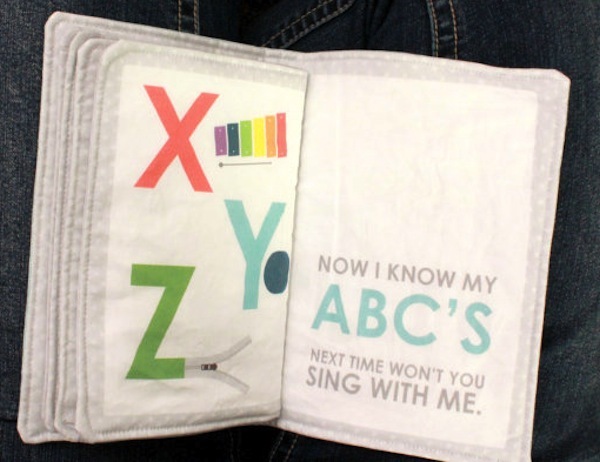 Babies are never too young to start learning about their ABCs. 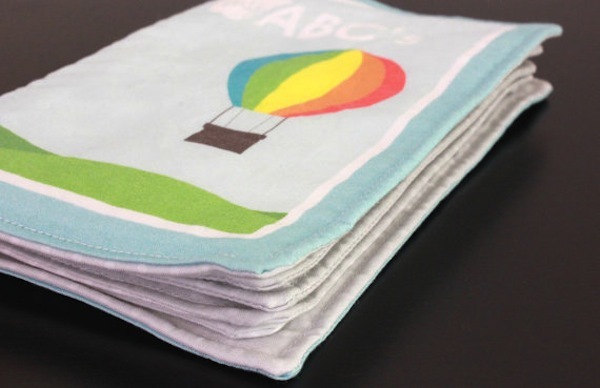 But baby drool and that uncanny infant ability to tear paper – and have a great time of it – means parents tend to keep alphabet books away from baby hands. 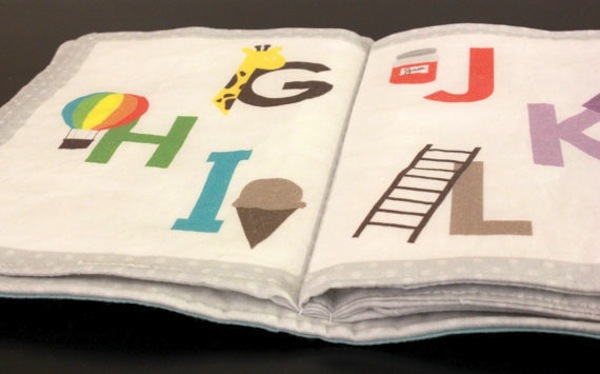 Well, here’s one very beautiful alphabet book that’s made with the dribbliest, most destructive baby in mind. Great design, custom printed fabric and made by hand with love is pretty impressive considering the super-reasonable price tag. It’s available at the Amanda Bergen Studio Etsy store for $19 and shipping is $10. While you’re there, her blankets are also really lovely.